At Spinelli Mazda we know the challenge of financing a vehicle with little to no credit. 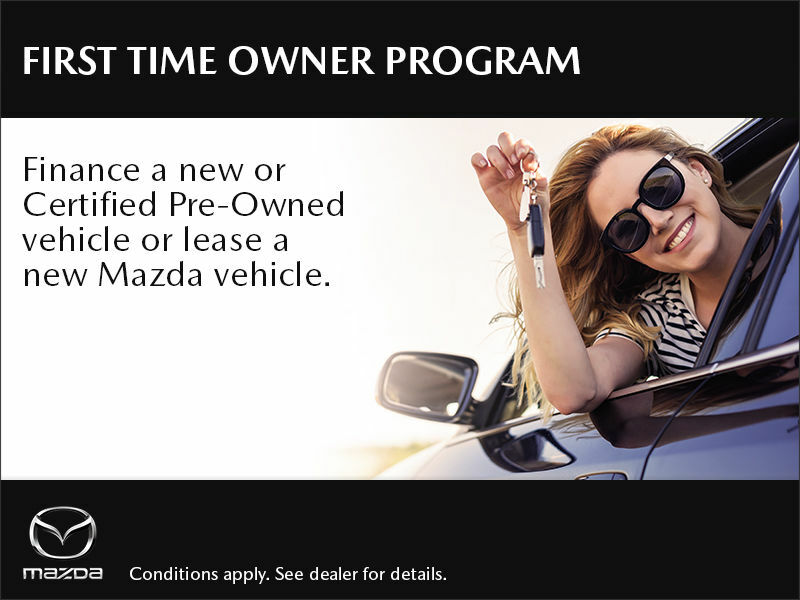 The 1st Time Owners Program allows customers with no prior automotive finance history to finance a new or Certified Pre-Owned vehicle or lease a new Mazda vehicle. Contact or visit us at Spinelli Mazda for more details!